First of all let me start by apologizing to all 13 of my readers (I kid, I kid) for this post taking so long, I have been doing a lot of … well, not working lately and so the blogging sort of fell to the wayside as well. 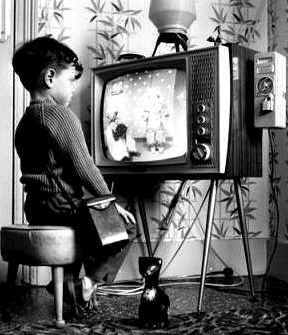 But with the holidays over and real life back in full swing I expect I will be doing much more blogging in the weeks and months to come. For those of you who clicked on this title looking for an insightful post I certainly hope not to disappoint. This is one that has been a long time coming. All too often as a computer programmer (hacker,techie,or whatever else you’d like to call me) I run into people who claim to be developers, video game programmers and all around tech gurus yet when i ask them where they are working I seem to hear one answer way too often. “I’m looking for a job right now”, or “I can’t really find anything in the field I want to be in”. Why is this a problem some might ask? That’s where the title of the post comes back into play. The answer really is simple. If you are a hacker, you should be HACKING … End of Story! I don’t care if you are still in school, have been out of work for two or three years or just got laid off yesterday. You have one of the most valuable skills man is capable of possessing simply because you do not NEED to have a “job” to create cool and useful things, you do not need high powered super computers or overly expensive equipment, all you need is the desire to create something useful and the ability to sit still long enough to make it happen. Probably my least favorite phrase among the friends I have made that work for the larger tech companies are statements like “I am still a very junior programmer”. If you are the person making those statements you may want to stop reading now since I very likely won’t sugar coat this enough for your tastes. If you continue to feel that way and you continue to only work on the very junior tasks given to you at the office you will ALWAYS be very junior. However some of the best programmers I know have not even graduated college yet and many probably never will. They didn’t become senior engineers or rockstars because they are mad geniuses (though some really are). They did it because they knew one thing above all else. They were capable of creating things greater than themselves. The Lion is the king of the jungle for one reason, It is capable of nearly anything it puts its mind to. As a hacker you should see yourself the same way. If you want something added to your favorite program don’t write the company an email, figure out how to do it yourself! If you are out of a job build an iPhone or Android app and put it in the app stores, build something for your friends or automate a daily process. It is these things that will ultimately land you that senior role or transform your confidence and help you become the person worthy of envy instead of the envious one. Confidence is key in programming. Every successful programmer has made mistakes and will continue to, learn from your debugging process and do not be afraid to fail. In the end you may even look back at how naive you were to believe something would work, but the first time it does the only thing you will regret is what took you so become so blinded. Now while they can certainly be taken in many different ways, The one I preferred to interpret was that while talent is important, persistence and the belief in your idea goes a very long way. You can teach lots of things, but desire is not among them, sometimes just wanting it bad enough can propel you farther than anything else. So Now I’ll challenge you, are you out of work? 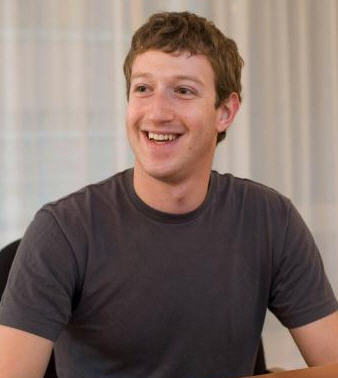 go forth and build something, become the king of the jungle and not the Mayor of your couch on your local foursquare. Ok so to be fair, I am writing this post more in disgust of the current “Android vs iPhone” craze filled debate than anything. As an avid reader of several news aggregators including reddit and Hacker News I feel that almost daily now I am subjected to some sort of variation of which system is better and why, or some blogger who thinks he is writing breaking news with things like “Android overtakes iPhone”. NEWSFLASH: Android is an open source operating system made to work on several different brands of phones over a wide range of carriers. Apple is ONE company, with ONE phone. This is an apples (no pun intended) to oranges comparison and one that frankly, I am tired of reading about daily. So let’s just settle this ordeal once and for all. If Android at some point did NOT surpass iPhone as the number one operating system it would have been considered a FAILURE. 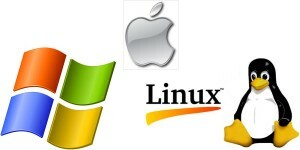 By the very nature of these two systems, it NEEDED to be the most used operating system for mobile on the planet. While that is a noble concept for Apple, the reality is they make ONE phone, their one phone has made the most significant impact on the market of any product in probably the last 10-15 years, however to believe that it could keep its spot at the top of the market would be insane. with the number of manufacturers and carriers looking to get a leg up it was always only a matter of time before someone or some thing came along to take this title away from Apple, and that should be OK in their eyes too! Mr. jobs, it can easily be said that neither of these systems, Android or iPhone is “open” though your argument was probably compelling to some, it was scientifically unfounded and amounted to little more than marketing speak. BUT that is OK … Apple is known for its secrecy and withholding of products. In fact, exclusivity is probably one of the things that has helped apple grow into the behemoth it has. Going after the core business of Microsoft in the mid 90’s would have meant certain death for Apple, instead you wisely chose to go a different direction, point to a target market and aggressively pursue them. You accomplished this and both companies were allowed to thrive. The Android vs iPhone debacle should be seen no different, I think it compares easily to the Windows vs Mac of the 90’s. Android is going to be widely used because of its whorish tendencies (meaning they will basically give it to anyone who has ever had the intention of building a mobile phone). and the iPhone will always remain a factor in the market because of its fan base, exclusive nature and features which people have grown to know and love. Does this mean that Apple will fail because their phone loses market share? Absolutely not! does it mean that Android will be the ultimate winner in the battle? Absolutely not! (though they will certainly champion themselves as such). 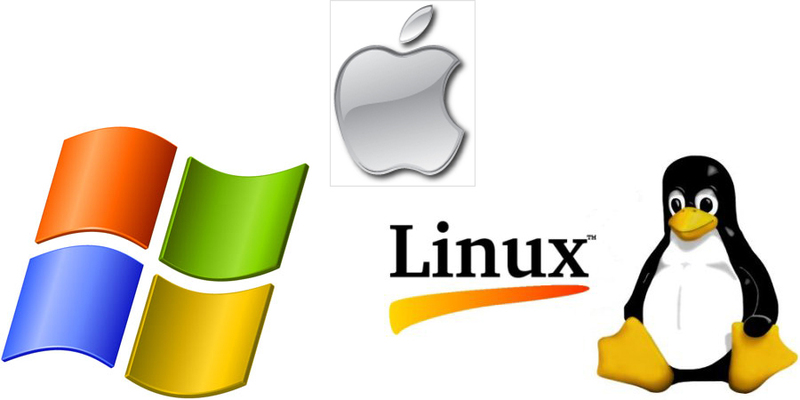 The truth is both of these systems will come out a winner in the end for the same reasons that Apple and Microsoft have been able to co-exist in the desktop market all of these years. Competition is healthy, but sometimes in the heat of battle people tend to lose sight of things. Just because these two are in competition does not mean they are in DIRECT competition. Are they competing for some of the same users? Absolutely … Are they doing it on the same scale? Absolutely not! So in short, Steve, if you’re reading this just stick to what you do best. Keep getting people excited about the products you guys are shipping out of Cupertino and the people will keep buying them. There is no need to give an argument for “Open vs Closed” or even consider yourself in direct competition with Android unless you plan to start selling licenses of iOS to other phone manufacturers. And to Mr. Schmidt and the gang of googlers out there just keep up the good work and keep in mind, there is always room for competition in every market. Without competitors your products would not be even minutely as good as they have become and you would probably have some “suits” from the SEC knocking on your door and talking about “Monopoly” … and not the kind that comes to us from our friends at Parker Bros.
What do you think? 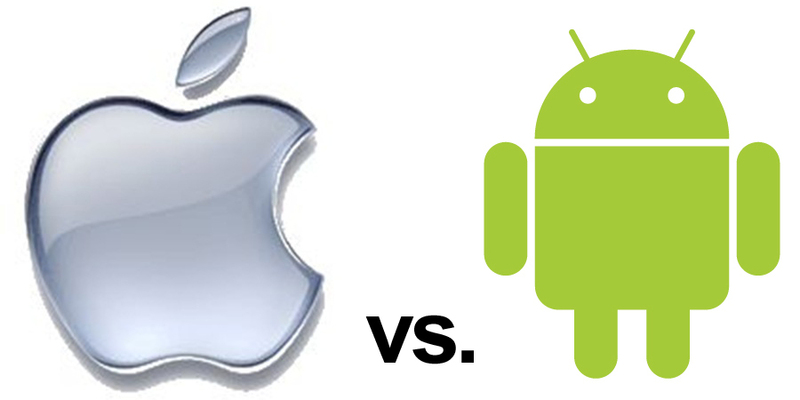 Do you consider Apple and Android in Direct competition or do you agree with me? Are you tired of listening to the iPhone vs Android battle of are you just getting warmed up to it? looking forward to the comments surely to come. EDIT: Let me start our by saying I did not expect this post to reach nearly as many people as it did, thanks for the emails, contact requests etc. However i think there are a few points worth clarifying on my end since some people seem to think i live in some sort of dreamland. 1. I think I already clearly acknowledged in the post that this was not solely against intel. Although this article was titled with such notation. What irks me as a consumer is the idea that companies set pricing along no guidelines besides making profit. Most companies were started because of a love or interest in something. However inevitably at some point nearly all companies lose sight of their love for a product and fall in love with money. I would be willing to wager that intel once built the best processor they could for the best pricepoint they could. This article simply states that these companies lose track of those ideas at some point. Again, I did not say this was new, or that several companies were not involved in these processes. As an opinion I simply do not think it is right. Are we all not entitled to an opinion? To anyone who cares to listen i am writing this letter not solely as rant, but also in disgust of what this market has become. As a developer who loves software and who loves the freedom one can find behind a computer monitor, I am truly disappointed in something i discovered yesterday. While it has long been thought of as common knowledge to many high end computer users that computer manufacturers and the makers of the parts supplied to them were often limited in what they were “allowed” to do this is the first direct confirmation of that in some time. Just as the title of this article states, I have a simple message for intel. 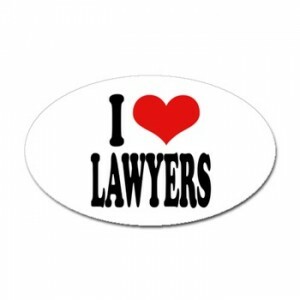 SUE ME! As a developer of technology and lover of all things tech I truly believe Intel has become a massive company by making good products. This is something they have exceeded at without a doubt. However almost inevitably every large company at some time gets to be too large for their own good. It seems obvious to me that Intel has reached that point and eclipsed the point of reality entering a zone in which they apparently believe morals no longer matter and profit is everything. Consider this my warning to Intel: I WILL dedicate a significant amount of my free time to unlocking EVERY capability of your processors and I WILL supply those capabilities free to end users of your products. If this angers you, please refer to the picture above, and if you go to the contact page and fill out my form I will gladly send you any information needed for the certified letters and empty threats from your lawyers. I hope to hear from you soon. To the end users and dedicated supporters of Intel products (others like me) I am sorry you have spent so many years giving back for a company who wants nothing more than to take from you. I am sorry that a company you believed in apparently never believed in you. Perhaps more importantly, I assure you all that if we cannot take Intel down all on our own, we will do it the only way I know how, one user at a time. I’d like to start this paragraph by sharing one of my favorite quotes from Steve Jobs, a quote in which he says “Good artist copy, Great artist steal.” I am firm in the belief that Microsoft has made no bones about “stealing” the best features from the two browsers it shares the market with and blending them to create IE9. Suffice it to say unless one of those two makes a big play in their next release. There will simply be no need to switch for users who have not already. 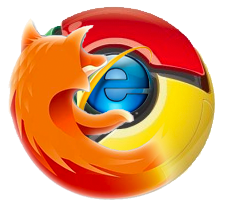 and as an avid Chrome user and development lover of Mozilla’s plugins and tools I think IE9 has a chance at being the best all-in-one browser put out to date and I will certainly give it a chance to become my choice again. Have you seen IE9 yet? Will you give IE a shot? Are you downloading the BETA or waiting for a stable release? Personally, I’m a tinkerer and I love BETA’s. I think they are a great chance to get exactly what YOU want in a product by simply offering constructive criticism and feedback. My suggestion to anyone whether it be a developer, home user, business user or even the casual user. Download the BETA, make suggesstions and make sure we can all get what we want in a browser. Even if you’re not a regular user of IE there is no doubt you will see the benefits of your suggesstions in releases of their competitors surely to come. Microsoft is not the only company capable of creating good software (some would argue they aren’t even in the realm of the best), and there is not another market leader who is above the theft of a good idea. So rest assured the best thing computer users can do is give feedback early and give feedback often. It’s the only way to build what is best for everyone. You may have noticed I have completely left Safari out of this discussion (Sorry Steve) but there is good reason for that. Simply put, its just not even in the same league with the three heavy hitters, at least in my own experience, it is buggy, not developer friendly and simply put, just not a good user experience. I did not want to insult any of the three major browser companies by including a far less capable product with the likes of their own. In conclusion I would like to congratulate Microsoft on a job well done and a step in the direction it has needed to go since the release of Windows Vista, which is back towards the people who got them here, developers, technical people and those who need usability and simplicity. When you appeal to all, everyone wins. Welcome back to the game boys, We have missed you! So while I am certain this post title seems unethical that could not be further from the truth, but I like steal for SEO and to be honest that is probably how you got to the post so I am thinking you probably aren’t the most ethical person anyway :). In any case now that you are here lets get down to getting you home phone service … for free! Now that we have that out of the way and you have either decided to purchase the items needed for your hardware phone or forego that and use the softphone we are ready to Steal our way into free home phone service for good! First, I need you to set up a google voice account. You can go to the google voice page to do that. if you already have a google account (gmail, google apps, etc.) then just sign in with your current username and password and proceed. Next you need to put in your city, state, zip code, area code or whatever you desire and pick a phone number that you like, it also gives you the option to search for available numbers by name etc. so you can get your first of last name in your phone number or even your pets name or anything else you like if you so desire. That’s it for Google Voice setup, obviously I would suggest that you tinker around with the settings and everything to see how it works but we’ll get to more of that in a minute. Now you should sign up for a free sipgate account at SIPGATE keep in mind it really does not matter where your free number from sipgate is located (so if it is out of your area code etc. dont sweat it) for example I live in Louisiana but my sipgate number is in California, but that is exactly why you just picked a really cool google voice number! (I’l explain more later). Sipgate will ask you to send your cell phone number and select your carrier so they can send you a text message with an invite pin. Do this, they wont spam you, in fact you wont get anything from them again unless you request it. this is just how they get you an invite code. Once you get the code texted to you (I got mine in seconds!) you simply finish filling out the sign up forms and move on to the next step, which similar to google voice lets you pick a phone number (much less flexibility here, and again which number you pick with sipgate really wont matter). After you have picked that number, first you should write it down or copy and paste it somewhere so you can remember what your sipgate number is for later in this tutorial, then you need to go into your sipgate settings and turn all voicemaill options off! Now, at this point you need to either paste your sipgate number that you noted earlier or grab the piece of paper you wrote it on and go back to your newly setup google voice account. In your google voice settings you have some killer options. Not the least of which is that you can forward any calls to your google voice number to up to 8 phones! So now if your friends call your google voice number it can ring your house phone, your cell phone, your work phone, etc. all at the same time. and now I know what you’re thinking, but what about those people that I really dont want to be able to call me at all those places. this is where google voice really gets brilliant. You can do just about anything you want for any number. So you can take that persons number and tell google voice you would like calls from them to go straight to voicemail. And now you can listen to that ear-numbing message at your own convenience or just read the transcription that is automatically sent to your gmail inbox. It also allows you to set up groups. i.e. where if co-workers call you they hear a professional work voicemail if you dont answer, but when your wife calls you can have a personalized voicemail telling her that you are sorry you did not answer but you love her and you will call her back soon. (and thank god for the rest of us, noone has to here how sappy you are but her, and probably the eight girlfriends she is having “girls night” with when she hears it :P) obviously this allows for a great dynamic for professionals as well, realtors come to mind right off the bat for me, if they have an important customer that they are expecting a returned call from but they are about to go into a meeting just set up a voicemail that will activate if they call and you miss it giving them the good news! This is a dynamic that I believe could simply change the way people do business. Now that you have went into your google voice settings and added your new sipgate number as well as your cell phone and any other number you desired (if you chose to do so) Every time someone calls your google voice number it will ring every phone associated with your account. (if that is what you chose for it to do, obviously if you set up groups, special settings, etc. it will do what ever it is you have asked it to do) so give it a shot, test it out and make sure it rings all the numbers you asked it to! And now anytime you want to call someone you simply select call from your gmail account, it will ask you what phone you would like it to ring (home, mobile, work etc.) and it will ring that particular phone and connect you to the person you want to call. making calls this way will ensure that people you call only see your google voice number and not whatever number you are calling from (As a side note: this is a setting in google voice that can be changed as well. So if for whatever reason you prefer the number you are calling from to show up as that number and not your google voice number GV allows that too! ), essentially making sure all your calls are routed exactly how you like them! Obviously you can still make calls by directly picking up your phone but it will use the number you are calling from on the receiving users caller Id. i always reccomend calling through the Google Voice interface so you do not have to worry about people calling you back at only one of the numbers. As an added bonus Google voice has an Android app where you can call directly from your smartphone using an on-screen phone like feature directly from your cell, there are also several web apps that can be downloaded for other phones from here. And word on the street is that the iPhone App for google voice will be back in the app store very soon as well! Now finally, if you chose (like me) to have an actual hardware phone follow the instructions below to set up your unlocked voip modem to ring your phone! 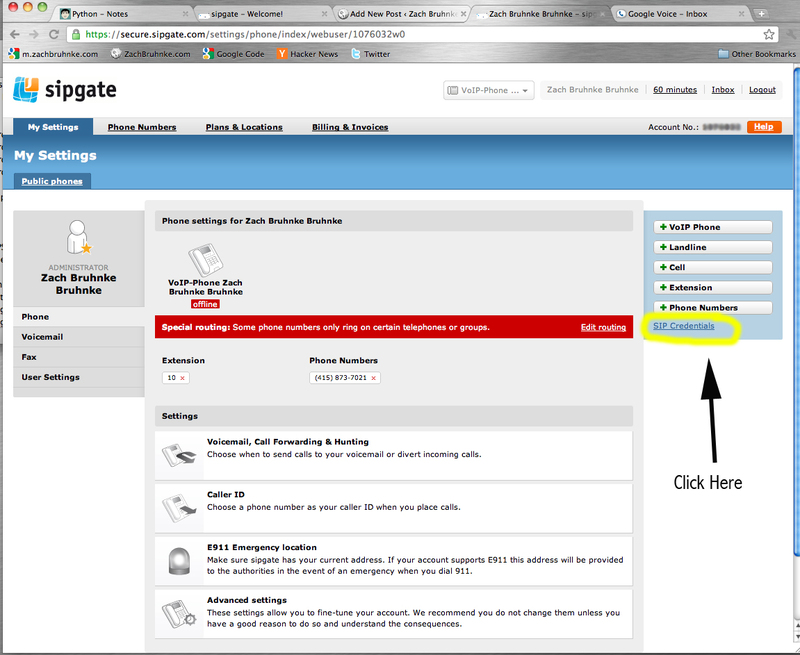 Click on the “Admin Login” button near the top right side of the screen, then click on the “Line 1” tab. User ID: Enter the phone number you chose when you signed up for SIPGATE, service. That is important make sure you use the SIPGATE number not the Google Voice number. 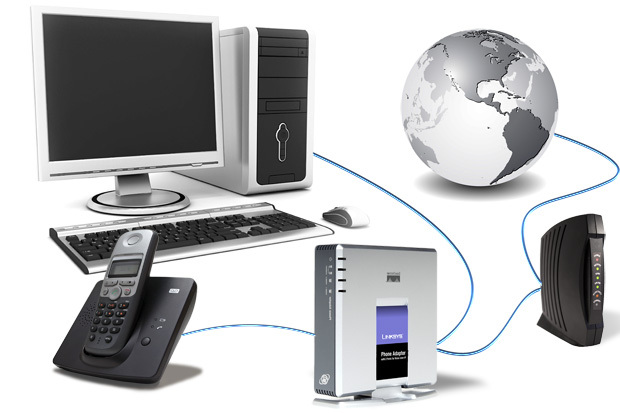 User Id: Enter your SIP Id as given to you in the SIP credentials part of your SIPGATE account. 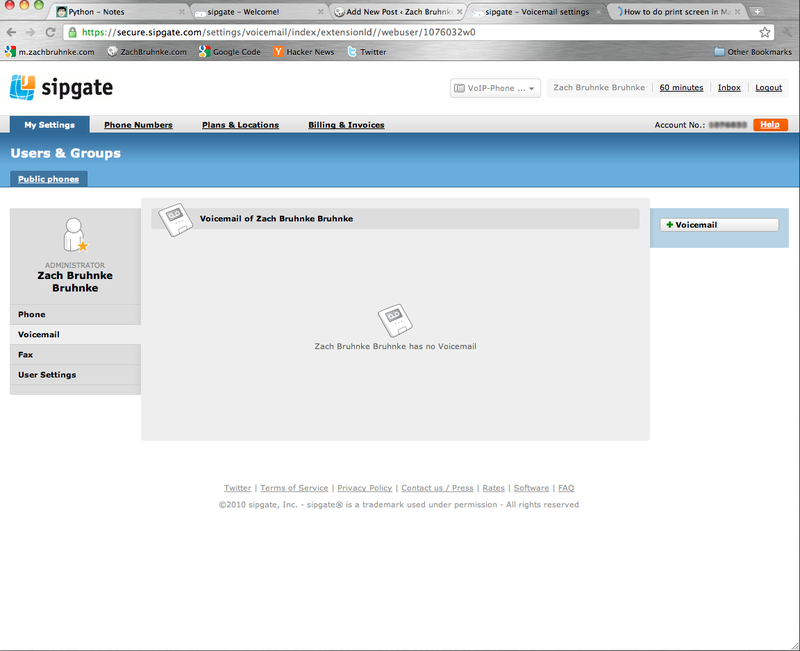 Password: Enter the password that you also see in your SIP Credentials on your sipgate account. Click on the “Save Settings ” button at the bottom of the form. As an added bonus, when most people are considering a home phone, getting a new home phone or dropping their current one they always seem to wonder about emergency 911 service and fortunately with sipgate it stores your address for that very reason, so although you should make all normal calls using the instructions decribed above, if someone breaks into your home or you are otherwise in danger you can sleep well knowing your free home phone service still keeps you protected! If you chose to forego the actual hardware phone ignore that last bit about the router setup and enjoy your new softphone. With the advances in Computer technology like they are its no doubt you are probably just a bit ahead of your time. Until next time, Hope you have a great day and enjoy your new Stolen (err, I mean FREE) home phone service! 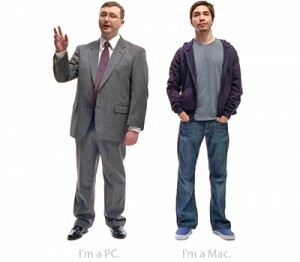 Why I bought a Mac … And why I’ll always be a Windows guy too! I know, I know, the title of this article is a bit confusing (and by a bit I mean a lot). But what I am talking about is my recent decision to buy a Mac. As a business owner and (gasp) Microsoft Partner and re-seller for the past several years, it was no doubt a big decision for me to buy a Mac. But as a developer and self proclaimed “tech junkie” for me it was just as hard of a decision to hold off as long as I did. No it was not a clever marketing campaign by Apple (but it is clever). But lets be clear (After all, I believe in full disclosure) it was not a newfound dislike for Microsoft either. I just felt that with the popularity of Mac’s with people of my generation and owning an IT company locally I owe it to myself and my customers to stay on top of technology. Because although I love developing, the truth is I get very little time to dedicate to it because I stay so busy at work or working on other projects. This new interest started several months back when I was living in New Orleans, a city in which I basically knew no one. A friend had a Mac and I had lots of spare time. Though I was not originally overly impressed or amazed with its ease of use or functionality like so many former windows users are I did enjoy the change in scenery (or in this case User interface). But more importantly I enjoyed the developing environment of textmate and the enjoyment of writing apps for my beloved iPhone. From that day forward I knew it was only a matter of time before I would inevitably come over to the Dark side (or into the light depending on who you are asking i suppose). Of course there are other options as well. So I did what every good developer should do. I spent more time considering my options. And in doing so I did some pretty fun things (well, fun if you’re a nerd like me) I built an Ununtu Server on the latest release 10.04 Lucid Lynx. I configured about 3 separate Windows 7 PC’s (What? I already told you I was a Microsoft Partner), and obviously that comes with perks (like free or nearly free software for demo purposes) and lastly, I bought a Mac! Specifically a 21.5″ LED Backlit iMac with 4GB of Ram a 500GB Hard drive and a 3.06 GHZ Dual-Core processor. And now I am sure you’re all asking … So What’s the verdict? And unfortunately that is where the vague title starts to make some sense. In short, i LOVE the new mac, and I have grown so accustomed to my pc setup (and all the annoying and seemingly unnecessary tasks needed to keep it up and running) that although I would definitely call myself a Mac convert, I will still use a pc for some time to come. Probably at the very least until I no longer have an IT company (in which i support mainly PC’s) to run, and I manage to get to do what I really love on a full time basis (developing). So until one of my crazy startup ideas takes off (see the Wired Like Me page and I no longer have to deal with the hustle and bustle of daily life i will most certainly be a Multi-system user. However as a side note I did recently apply to be a Mac reseller to give my customers a chance to look at something different, so with Mr. Jobs’ approval I may be converting even more users very soon, and who knows maybe I’ll even get that break I have been looking for and call myself a true Mac user even sooner than I think. I am out for now but please leave comments and tell your friends to check out my blog!